A big thank you to GiftsForYouNow.com for sponsoring my no candy Easter basket filler ideas! All opinions are my own. 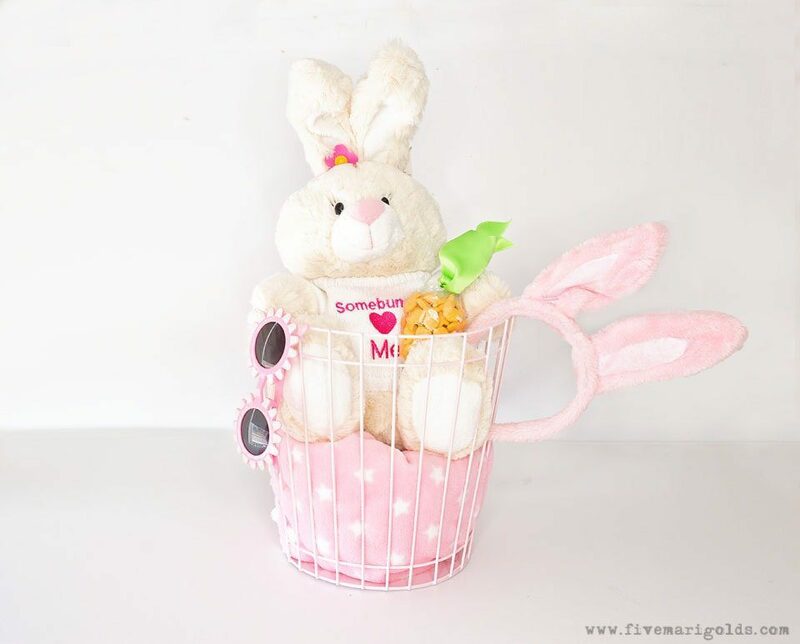 With Easter just around the corner, I thought it would be fun to put together some no candy Easter basket inspiration for things the Easter bunny can bring. For our family, Easter is such a meaningful, fun holiday and a wonderful time to gather with family and create traditions. This year, change up those Easter baskets by swapping the candy-filled basket and opting for one filled with fun items they’ll actually use. Not only will you be able to avoid the sugar overload, but you’ll also be giving unique surprises that will make your Easter celebration a memorable one. 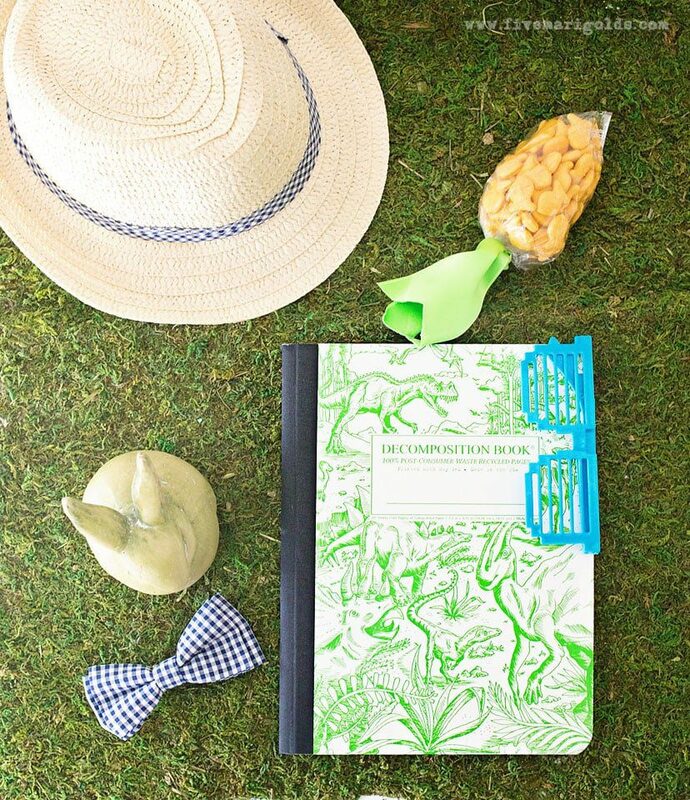 These personalized Easter gifts are so great, your kids (almost) won’t miss the candy. Instead of purchasing a traditional Easter basket, try using a multipurpose container that can be used year round for storage. Instead of messy filler, add a personalized baby blanket that will get daily use. I had “Baby Bunny” embroidered on this adorable pink blanket with white stars, so she’ll always remember it came from the Easter Bunny! We need to pack snacks for school anyway, so why not knock out two tasks in one and pack adorable Goldfish “carrots” in their Easter basket and school bag? Finally, with spring coming soon, I added a new pair of shades. 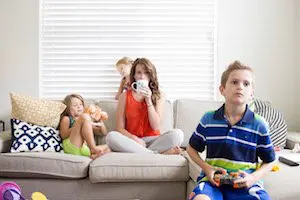 While I don’t have tweens yet, I’m familiar with kids who have very specific likes and dislikes. Try filling their baskets with supplies for their favorite activities – art supplies, slime making supplies, or books. 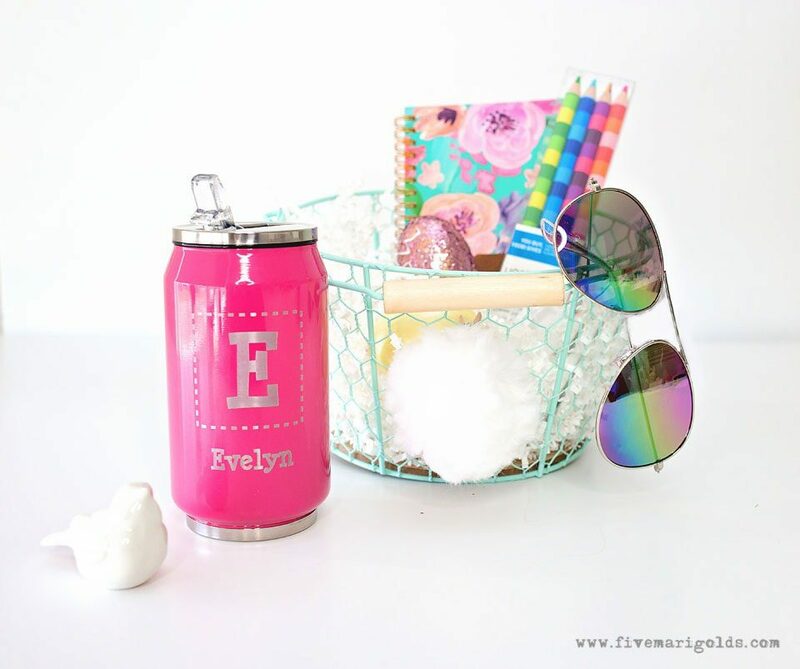 I also added a cool pair of shades, school snacks and this personalized sippy cup that looks cool and is totally functional. These “sippy” cups are amazing because they are truly leak proof. My daughter dumped hers in my purse one day when I didn’t realize it, and it was upside down for hours with ZERO drips. Mom score! I used a multipurpose container for this basket and clipped a white pom for a cute bunny tail. With so much of Easter seemingly marketed to girls, sometimes it’s hard to fill the perfect boy basket. Perhaps I’m not very creative, or maybe my husband just has very specific likes….probably a little bit of both! His Easter “basket” looks remarkable like his birthday gifts, Christmas gifts, and Father’s Day gifts. 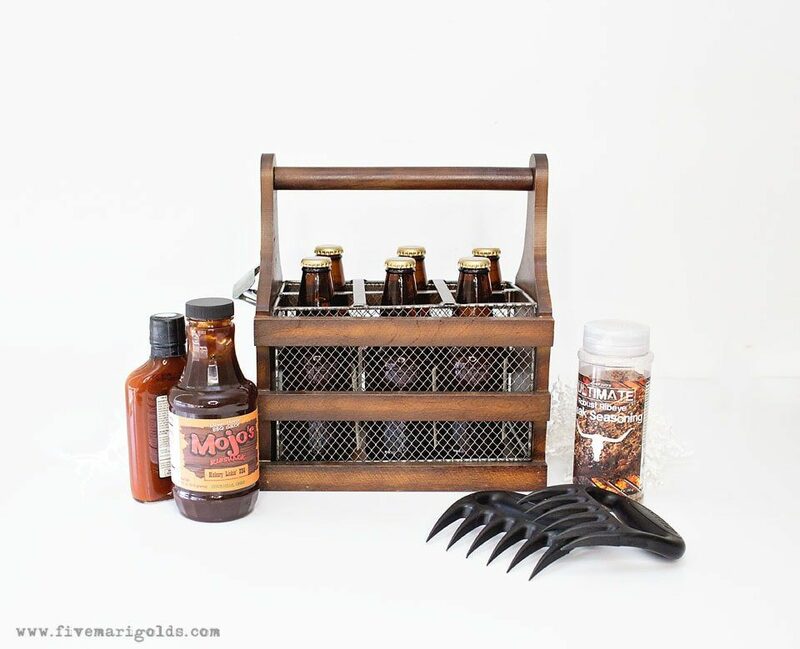 A beer caddy with his favorite brew, some speciality barbecue sauce and meat claws are the perfect manly man gift. Okay, so let’s get real – I DO include candy in our Easter baskets. 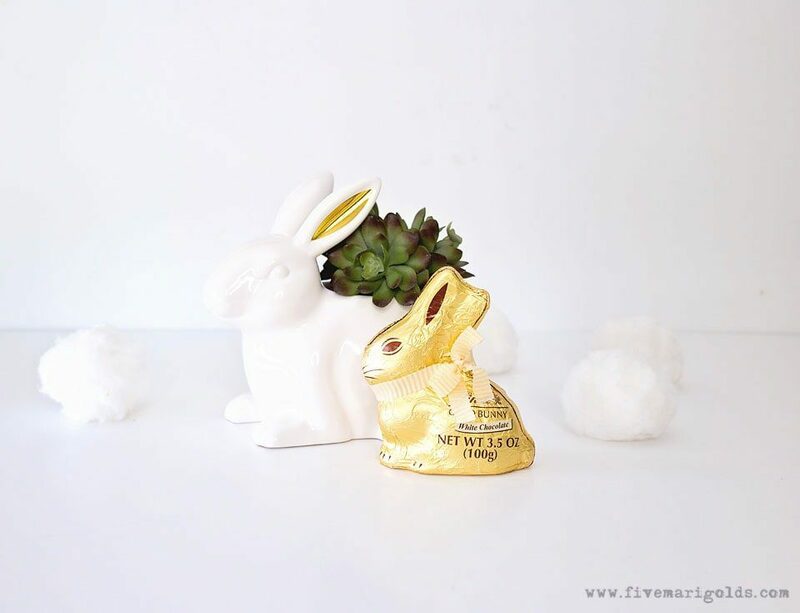 While these no candy baskets won’t leave anyone feeling deprived, it just isn’t Easter without a chocolate bunny (amiright?). And maybe a cute decoration and succulent. I hope you like these ideas for no candy Easter basket fillers! 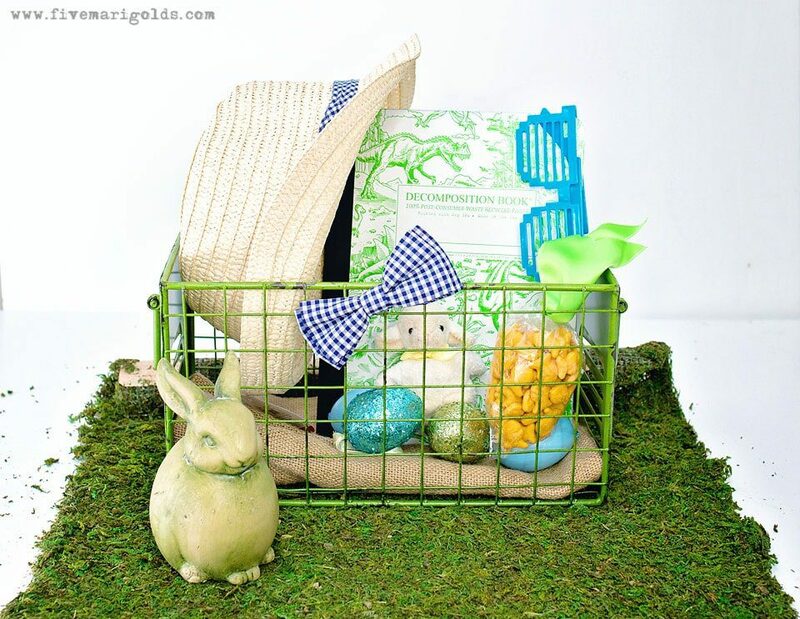 What is your go-to Easter basket filler each year? Please tell me in the comments below! Looking for more Easter inspiration? Check out my Easter Lunch tablescape! That sippy cup is terrific! And I love how you added the little hair puff for the tail accent on the baskets. Great ideas! I love those fun sunglasses! 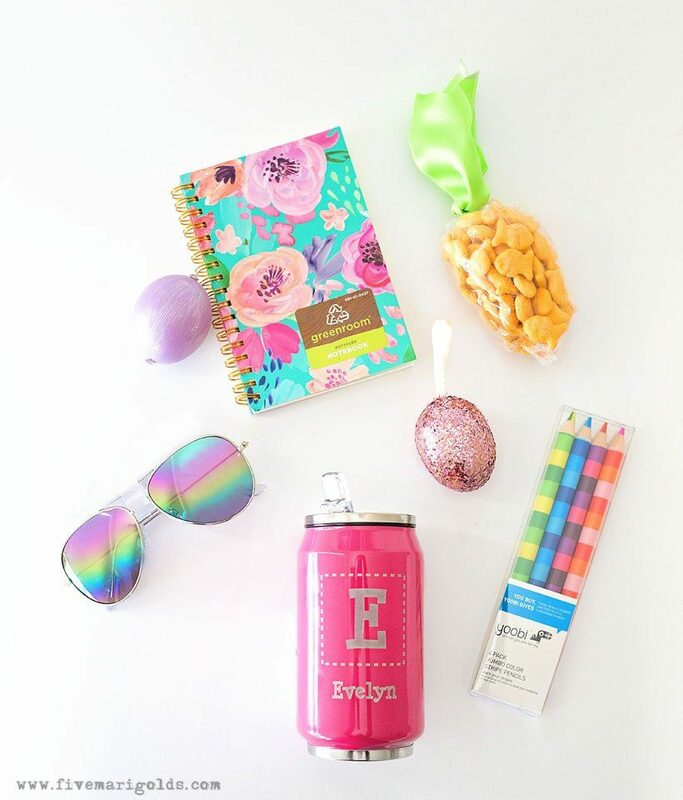 My friends call them “sunnies” which makes them even more perfect in a Spring Easter Basket! Oooo these are great festive ideas. It’s wonderful to have ideas that aren’t totally just about more candy! These are all so cute! I send my sister seasonal “care packages” every year and love having new ideas to add! Aw what a sweet idea! I love that. Great suggestions! We always get candy and gifts for Easter in the basket, it’s fun to get both! Thanks for the ideas!